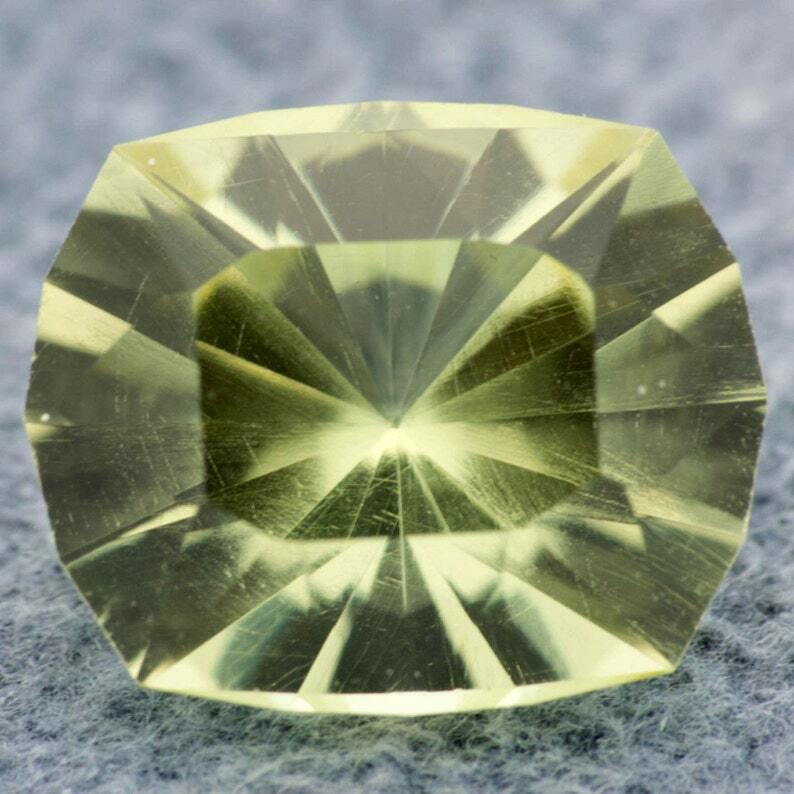 This is a 2.42 ct lemon yellow apatite, 9.4 x 7.8 x 5.3mm, untreated, lightly included with needle like inclusions invisible to the naked eye, and cut by yours truly in Marco Voltolini's "Rubicello" design. That Marco knows how to design some purty cuts. Apatite can look like a lot of other stones, since it ranges from yellow to blue to purple--it's name comes from the Greek word απατείν (apatein), which means to deceive or be misleading. As a mineral, it's got all kinds of uses, but we don't care about that. It's just pretty. It is pretty soft, though, so it works best as a pendant stone, or simply as a collector's piece. Remember, 'colored' gemstones (really, anything but a diamond) are best measured by their dimensions when comparing across species. Density does not imply value.